Hides behind and inside your factory bumper cover and aluminum bumper structure. Ties in to factory mounts for strength and ease of installation. Ubolts clamp to bumper for no drill install. Two drill thru mounting holes are included too if you want to use them. Comes in black powder coat finish with all hardware needed to install. Winch and fairlead NOT included. This version fits with Hawse or roller fairlead. 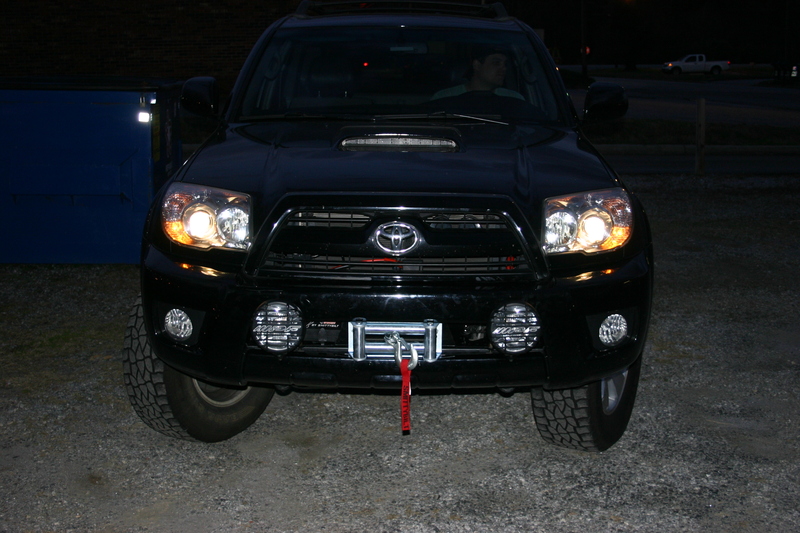 Now has holes for mounting your offroad lights. This hidden winch mount works with any non-integrated solenoid winches up to 9500 pounds. Bud recommends using a Warn Winch. The hidden winch mount weighs 25 pounds.